Tum Bin 2 Review Rating: The latest Bollywood movie Tum Bin 2 releases along with Force 2 this Friday, October 18. The sequel comes after a long wait of about 15 years. The first part was released in 2001. It stars Neha Sharma, Aditya Seal and Aashim Gulati in the pivotal roles. The sequel can be summed up in a single line. It lags behind in portraying the intensity in the love saga as it deserves in any intense love story movie. Anubhav Sinha has written and directed it while Sinha and Bhushan Kumar have produced it under the banner of T-Series. It is mainly filmed in England and Scotland. Mouni Roy has got a special appearance in it. Except for the genre, the sequel and prequel both are completely difference films and have no connection in common. The intense love story is a family entertainer as well. You can feel the huge contrast between the two films only after watching them. Read: Force 2 Movie Review. Sequels are always made only to capitalize and follow the story. This sequel has proved to be opposite of the former statement. It is an urge to make another successful movie. It can be claimed. Being an intense love story as the genre, the prerequisite of the film was a strong story which couldn’t be found. Apart from it, the director has missed out some important things which could have made it far better. The first part appears to be usual while the second part has fun and the real punch. However, it could have been even better. It was expected to deliver much more based on expectations. The selection of picturesque locations is a good choice along with the sensual item number of Mouni Roy. The film has new a set of actors including Neha Sharma, Aditya Seal, and Aashim Gulati. Though they are young and energetic but failed to deliver performances as expected over the big screen. They couldn’t deliver real emotions and staggered dialogue delivery made it even worse. On the whole, it was an average performance for a newer star cast. But, it degraded the entertainment value of the romantic flick. Adding the item song without relevance couldn’t improve its fate. The direction appears to be failed due to the presence of new actors. The same amount of pain wasn’t seen in the sequel as it was in the prequel. The music wasn’t of that high quality either. It didn’t have the power to turn iconic as it was with the previous part. Some of the songs were good, but there is doubt with its longevity. The other elements like a screenplay, dialogue, and editing were of okay quality. The selection of locations was a better choice. But locations alone can’t make a film hit. If the director has done him homework, the film could have been better. The real intensity of love seems to be missing out. Casting too has hampered the entertainment value of the flick. TRT gives TB2 2.5/5 stars. Have you watched the film? 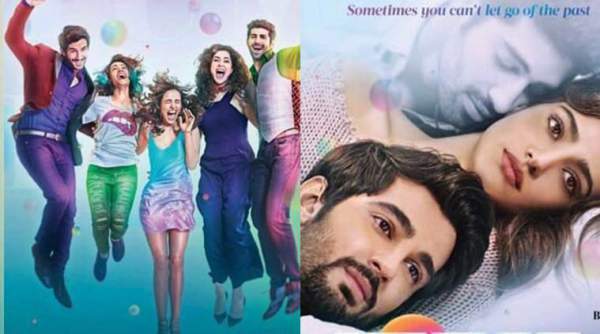 What’s your Tum Bin 2 movie review? Don’t forget to share your views and thoughts. Stay tuned to The Reporter Times for latest Entertainment news and updates across the globe. Share it on social media.